Fuad Sha'ban, Ph.D., is Vice President of Yarmouk Private University in Syria. He is also a professor at the University of Petra in Amman, Jordan. Professor Sha'ban has held academic and administrative positions at universities in Syria, Saudi Arabia, the United Arab Emirates, Jordan, and the United States. He has lectured at universities around the world, including in Singapore, Malaysia, India, Canada, Qatar, Cyrus, and the United States. 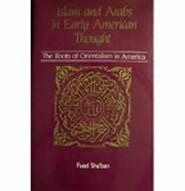 •	Islam and the Arabs in Early American Thought: The Roots of Orientalism in America, (Acorn Press, Durham, North Carolina,1990). •	For Zion's Sake: The Judeo-Christian Tradition in American Culture (in Arabic), (Dar Al-Fikr, Damascus, Syria, 2003). •	For Zion's Sake: The Judeo-Christian Tradition in American Culture (Pluto Press, London, and University of Michigan Press, Ann Arbor, 2005). In 2005, he received the Atlas Group Translation Award for Distinguished Contributions to Scholarship in Amman,Jordan; and in 2004, he was given the Zarqa University Award for the most outstanding book published during the past three years on the Arab-Zionist Conflict, also in Amman, Jordan. 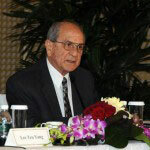 Professor Sha'ban was born in Damascus, Syria. He has a B.A. from Damascus University in Syria and an M.A. and Ph.D. from Duke University in Durham, North Carolina. During the January 30 panel at the National Press Club, Professor Sha'ban will survey the development of some concepts of Christian Zionism in American history from the pilgrims to the second half of the nineteenth century.